Steven Spielberg is obsessed with UFOs. Indeed, judging by the success of his alien movies to date, his obsession is infectious. Perhaps more so than any other filmmaker, Spielberg has moulded our perceptions of otherworldly visitors. Films such as Close Encounters of the Third Kind (1977) and E.T. : The Extraterrestrial (1982) abound with iconic imagery seared into the minds of millions: a mothership’s miraculous ascension at Devil’s Tower; a boy and his fugitive friend from the stars cycling in silhouette across the face of the moon. Even Spielberg’s less memorable alien movies – War of the Worlds (2005) and Indiana Jones and the Kingdom of the Crystal Skull (2008) – have enjoyed enormous success at the worldwide box-office, raking in some $1.4 billion between them. Although the 63 year old has donned his director’s cap for just four alien-themed movies, his role as a producer has long seen him neck-deep in extraterrestrial entertainment. 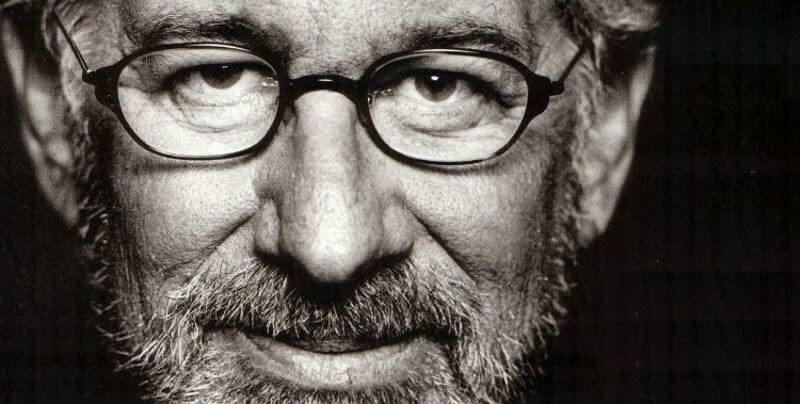 Spielberg’s credits to date include, Batteries Not Included (1987), the Men in Black franchise (1997 -), the epic alien abduction mini-series Taken (2002) and the Transformers franchise (2007 -); he is also closely involved in the development of four projects due in 2011: the alien invasion series Fallen Skies; the ‘Sci-fi-Western’ Cowboys and Aliens; the much anticipated Super 8, the plot for which features Area 51, the US Air Force and an escaped alien entity; and the ‘aliens in high school’ thriller, I Am Number Four. That Spielberg continues to make movies about life elsewhere is owed not simply to good business sense, but is due in large part to his own childhood fascination with UFOs; a fascination that would intensify into his late twenties and culminate in his cathartic production of Close Encounters – one of the director’s most personal films. “I was mainly inspired when I began to meet people who had had experiences,” Spielberg told Sight and Sound magazine in 1977. “I realised that just about every fifth person I talked to had looked up at the sky at some point in their lives and seen something that was not easy to explain. And then I began meeting people who had had close encounters… where undeniably something quite phenomenal was happening right before their eyes. It was this direct contact – the interviews – that got me interested in making the movie.” Spielberg’s interest in UFOs even extended to a belief in an official cover-up: “I wouldn’t put it past this government that a cosmic Watergate has been underway for the last 25 years,” he remarked during a Close Encounters promotional interview, “Eventually they might want to tell us something about what they’ve discovered over the decades.”That the world’s most successful living director has an overt fascination with UFOs has long fuelled conspiracy theories that he may have gained “inside knowledge” of a genuine “cosmic Watergate.” Spielberg, after all, is a generous campaign contributor to the Democratic Party and routinely rubs shoulders with the Washington power elite. Some even peg Spielberg as the government’s go-to guy in what is thought to be a secret programme to acclimatise the public to the reality of extraterrestrials through entertainment media. Spielberg has been inseparable from the political dimension of the UFO phenomenon since the early days of his career. In 1977, he spoke with relish of “rumours” that President Carter was due to make “some unsettling disclosures” about UFOs later that year. Needless to say, no such disclosures were forthcoming, although not for lack of effort on Carter’s part. Jimmy Carter famously had reported his own UFO sighting in 1969 and it had made a believer of him – so much so that one of his informal campaign pledges had been to reveal the truth about UFOs. This apparent secrecy almost certainly resulted from a desire in the military-intelligence community – and even among Carter’s staff – to keep the Administration publicly from being further associated with flying saucers. A UFO-spotting President viewing the ultimate UFO movie at the White House and having get-togethers with its alien-obsessed director would have been a PR nightmare. Not only that, but it would likely have exacerbated the White House’s existing UFO-related problems. Throughout the Spring and Summer of 1977 (before the release of Close Encounters), the Carter White House had been deluged with thousands of letters from the public pertaining to UFOs, the majority of which were handed off to the Air Force, which itself officially had washed its hands of the UFO problem in 1969. Exasperated, and ill-equipped to deal with the sheer mass of UFO letters, Carter’s Science Advisor Dr. Frank Press sought to offload the problem onto NASA, suggesting to Administrator Dr. Robert Frosch that the space agency not only become the “focal point for the UFO question,” but to pick up where the Air Force left off and spearhead a new government UFO investigations programme. This immediately set alarm bells ringing throughout the U.S. National Security apparatus and resulted in Colonel Charles Senn – Chief of Air Force Community Relations – advising NASA to steer well clear of the UFO issue. In a September 1st 1977 letter to NASA’s Lt. General Duward Crow, Colonel Senn wrote: “I sincerely hope you are successful in preventing a reopening of UFO investigations.” NASA, it turned out, needed little dissuading and was already engaged in attempts to dampen the public’s enthusiasm for extraterrestrials. Spielberg’s most successful alien film, E.T., was also an Oval Office favourite. Incumbent this time was Ronald Reagan, who, like both Carter and Spielberg, was also known to be keenly interested in UFOs. During a private screening of E.T. at the White House in 1982 in which Reagan and Spielberg were seated together, the President is reported to have leaned over to his guest and whispered: “You know, there aren’t six people in this room who know how true this really is.” Spielberg related this story to Hollywood television producer Jamie Shandera shortly after the screening. It’s no secret that Spielberg has discussed the UFO topic with at least two Presidents besides Reagan – these most likely being Democrats Carter (for the reasons cited above) and Clinton (with whom the director was known to be chummy). As has been the case with many a Hollywood powerhouse before him, Spielberg’s reach in Tinseltown soon came to extend to the corridors of power. Just how friendly the director had become with the political glitterati was illustrated in June of 1999 when his name appeared on a leaked list of attendees of the annual Bilderberg conference held that year in Portugal. Also on the guest list, among many others, were Bill Clinton, Kofi Annan, Tony Blair, Bill Gates, Henry Kissinger, Rupert Murdoch and Pope John Paul II. So, is it really possible that Spielberg has the inside track on UFOs? With such hearty back-slapping between him and his friends in D.C., it’s not hard to see how such rumours got started. But a government programme to manipulate our perceptions of alien life? Strange though it may seem, the U.S. government has a long history of involving itself in UFO-related productions. In 1953 the CIA-sponsored Robertson Panel decided to, “strip [the] aura of mystery” from UFOs through the use of “mass media such as television [and] motion pictures.” The initiative had a direct impact on several films and TV shows in the 1950s and ‘60s, as with a UFO-themed episode of the Steve Canyon TV series (1958-59) and the Walter Cronkite TV special UFO: Friend, Foe or Fantasy? (1966) – both of which were heavily edited in line with the panel’s recommendations. In stark contrast, the government has, on occasion, actively promoted the notion of alien visitation. This was best demonstrated when UFOs: Past Present and Future (1974) – a Golden Globe nominated documentary supportive of the Extraterrestrial Hypothesis – received the full backing of the Air Force, Army, Navy, and even NASA. The U.S. government’s motives for involving itself in UFO-themed entertainment are unclear, although it may be of some significance that in 1952, CIA Director Walter Bedell Smith discussed seriously, “the possible offensive or defensive utilization of these phenomena [UFOs] for psychological warfare purposes.” Others, meanwhile, prefer the theory that the government, by way of Hollywood, is conditioning us to the reality that we are not alone. Spielberg’s rationale is puzzling, to say the least. UFO data collated by governments and civilian research groups over the past decade show a clear increase in the number of reported sightings worldwide with the UK Ministry of Defence even declaring 2009 officially to be the second biggest year on record for UFO sightings, having logged 643 reports. Sightings in the U.S. are also on the increase. In 2008, the Mutual UFO Network (MUFON) – America’s largest UFO investigations organisation – logged upwards of 5000 sighting reports. Spielberg’s comments about a lack of photographic evidence are similarly puzzling as barely a week now passes without local and regional news programmes across the globe featuring fresh photos and video footage of inexplicable things in the sky. How, then, might we account for Spielberg’s strange reversal in belief? Perhaps the director has now officially been let into the loop and thus been advised to adopt a more sceptical public position on UFOs, all the while continuing dutifully to manipulate public perception of aliens through his Hollywood productions. On the other hand, perhaps Spielberg is simply less clued in than he appears to be. Frustratingly, as we approach our conclusion it seems we are left with more questions than answers – particularly regarding Spielberg’s secret letters. What might the director have revealed recently in the letter held by James Fox and which Spielberg has now deemed inappropriate for public release? And why, 34 years after receiving it, does he continue to remain tight-lipped about the content of his mysterious 20 page letter from NASA? In a career spanning four decades, Steven Spielberg has brought the extraordinary into the ordinary lives of everyday folk and, for the price of a cinema ticket, allowed us to glimpse the mysteries which flit at the peripheries of our humdrum reality. He has rightfully cultivated a reputation as the people’s director. Perhaps, then, it’s time he shared with the people just what – if anything – he really knows about one of the greatest mysteries of them all. Robbie Graham is a doctoral candidate at the University of Bristol for a Ph.D. examining Hollywood’s historical representation of UFOs and potential extraterrestrial life. Matthew Alford, Ph.D. is author of Reel Power: Hollywood Cinema and American Supremacy (Pluto Press, 2010). The authors have written together about the politics of Hollywood for a variety of publications, including The Guardian, New Statesman, Fortean Times and Filmfax. What Color Is the Sun, Really?